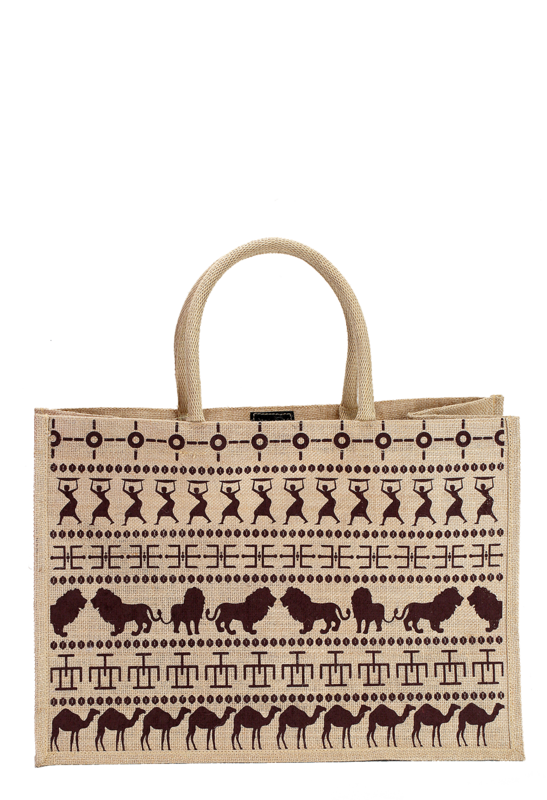 This handbag made from natural jute fiber gives the glimpse of the beautiful tribal design, showcasing animals and village workers. It is 34.5 cm in height, 54 cm in width and 24 cm in depth, which makes enough space to keep your essential things inside. 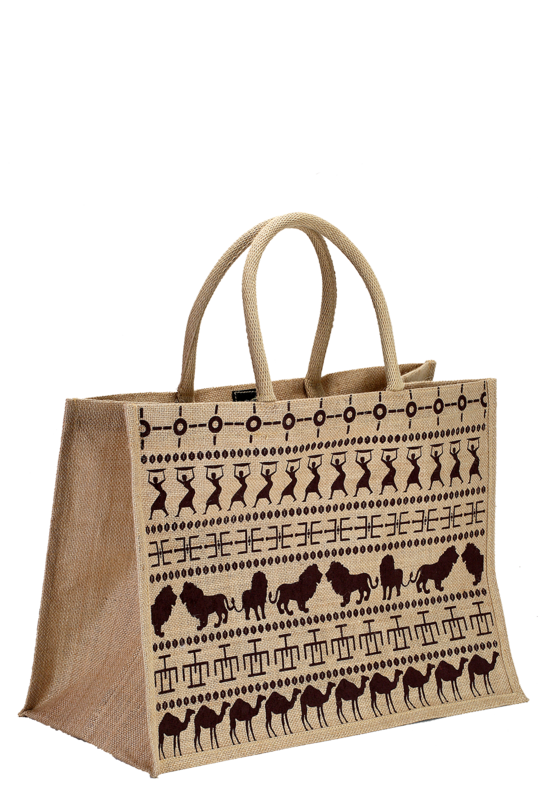 Its beauty lies in its tribal design made on the body along with the roped handles, which altogether gives the bag a unique class and culture. 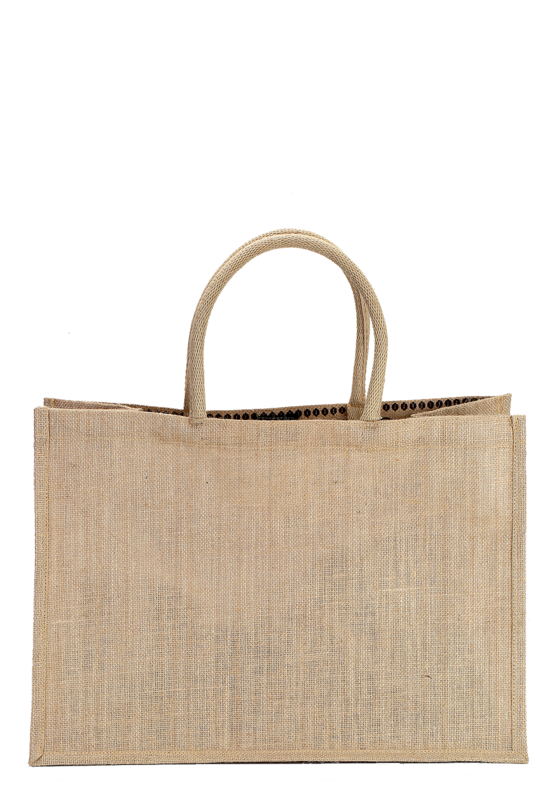 Whether you want to use it as a grocery bag or handbag, this item will give your personality a classy look.